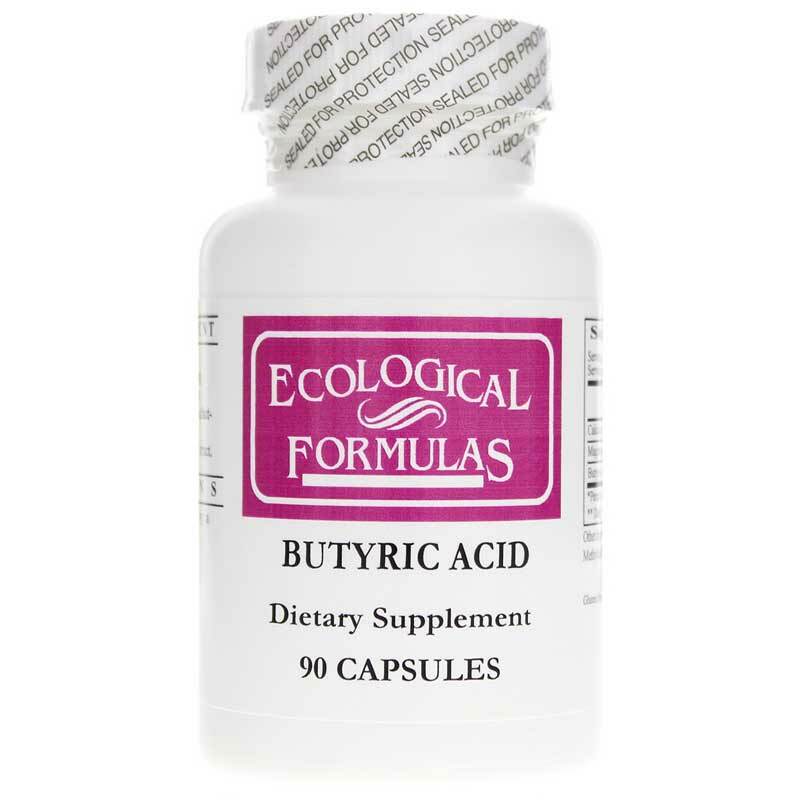 Butyric Acid from Ecological Formulas is a scientifically-designed supplement containing nutritionally significant amounts of the 4-carbon fatty acid, butyric acid. 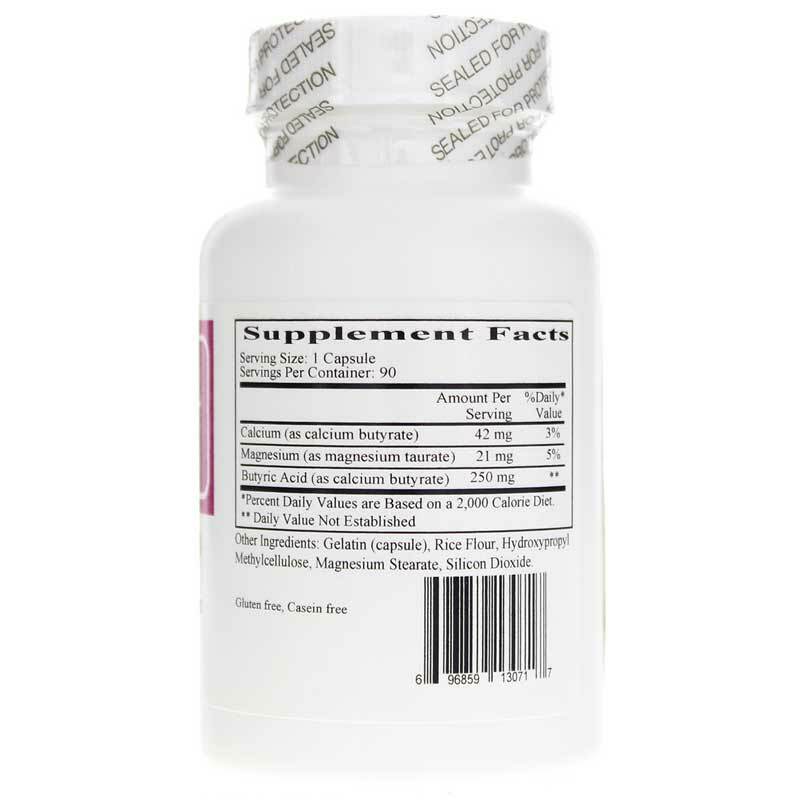 Other Ingredients: gelatin, hydroxypropyl methylcellulose, magnesium stearate, silicon dioxide. 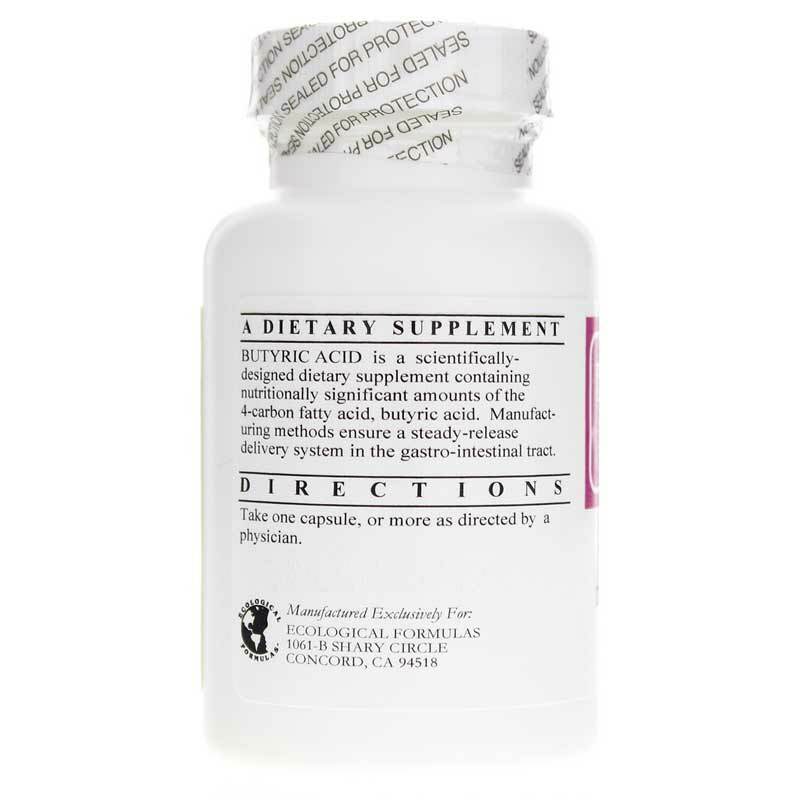 Adults: Take 1 capsule after meals, or as directed by a physician.